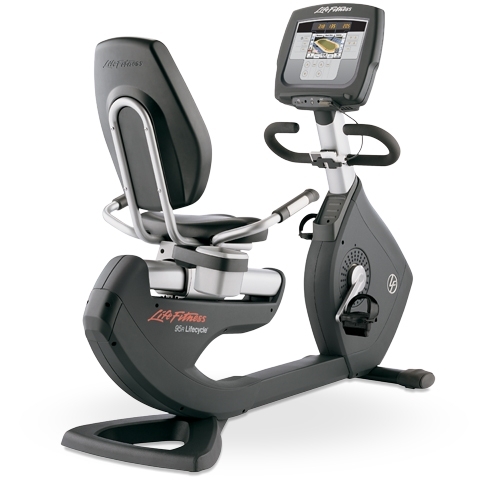 Recumbent bikes are all designed to reduce stress on the rider, particularly in the knees, hips, and back, but the Life Fitness 9500HR Next Generation climbs to a new level of smooth cycling. From its comfortable seat with built-in grooves for coolness and back-support, to the natural placement of the accessory tray and hand sensors, few elements of ergonomics are overlooked on this cycle. The belt-drive system is reliable and quiet and even the “Wide Ride” pedals can be configured 11 different ways to accommodate your foot size. Lifecycle Exercise Bikes first set the standard for computerized fitness equipment more than 30 years ago, a legacy that has made them the number one preferred bikes in the world. 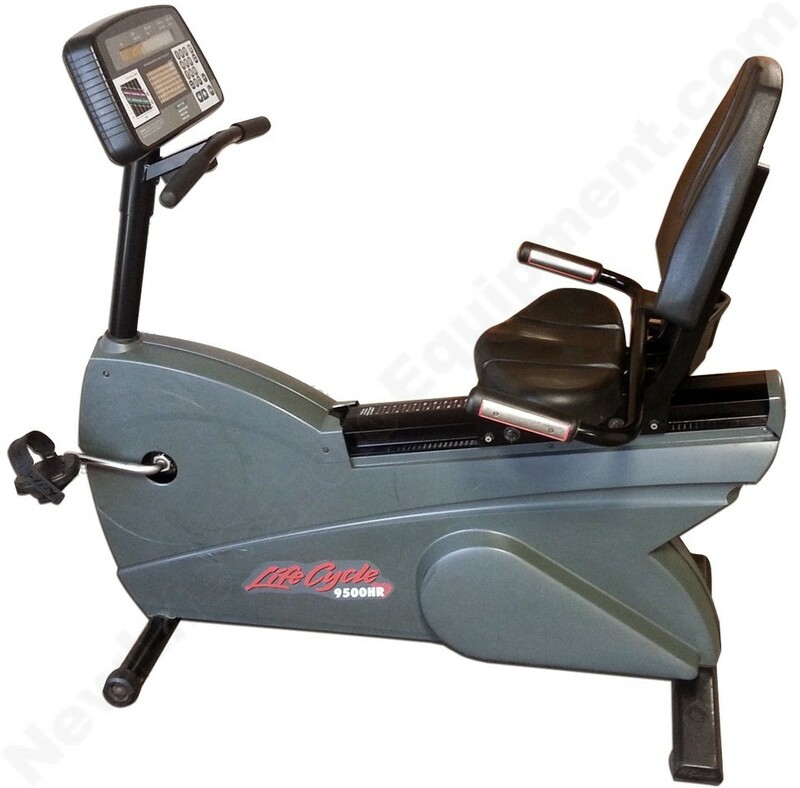 Lifecycle exercise bikes deliver motivating aerobic workouts to people of all ages and fitness levels and because if its highly effective and durable design, the heavy-duty Lifecycle can handle the daily rigors of the most demanding durable, and virtually maintenance-free. Lifecycle’s proven track record distinguishes these Exercise Bikes from all the other bikes in the industry, offering you great reliability, longevity and superb ease of use. 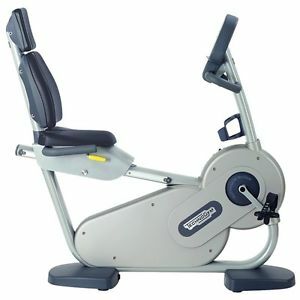 This recumbent model is found in fitness facilities around the world. 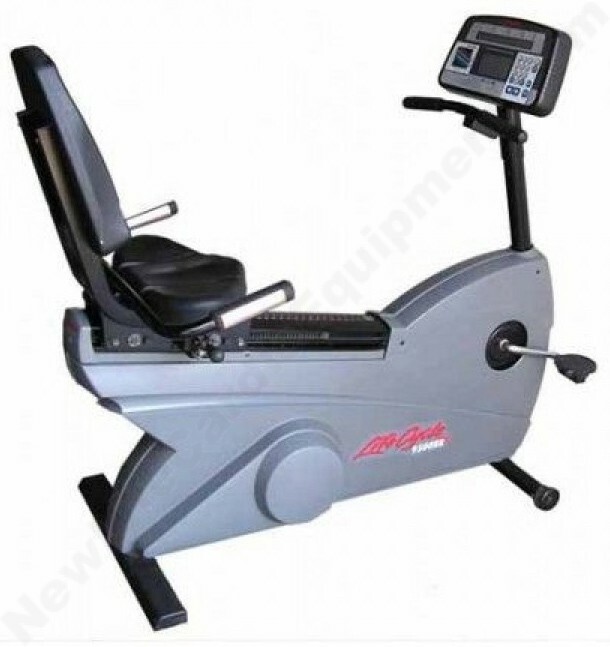 It is a fully-featured exercise bike that is ideal for all sizes and types of fitness centers including health clubs, hotels, wellness and rehabilitation centers, and student/community recreation centers to name just a few.